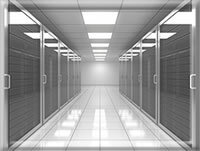 LunarPages seems to be one of not so many larger web hosting providers that operates their own data centers that are located in California, Arizona and Nevada. They also claim to operate their own fully optimized (non-outsourced) call centers that are located in Anaheim and Corona, California, with several satellite locations throughout the United States. LunarPages states that their 100+ only US-based staff members are able to effectively serve and support all 150,000+ (at the time of writing this article) LunarPages. So that according to Lunar Pages all that enables them to provide affordable and customer friendly website hosting services. LunarPages provides probably the full range of webhosting solutions such as shared unlimited web hosting, Windows website hosting, managed VPS hosting and cheap dedicated hosting solutions, as well as advanced and easy to use tool called LunarPages Quick Site that enables to create a full featured website in under 2 hours, that includes free design and development assistance from LunarPages hosting staff. QuickSite makes it easy for you to design, upload, customize, and launch your website. Step 3: Ready, set, launch! 5. 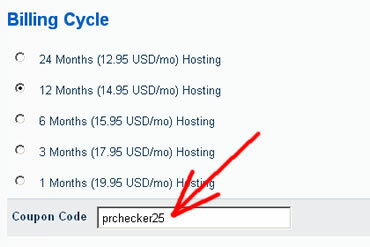 We’d also suggest to make sure the hosting discount of $25 off total bill has been applied properly. You can check the “Order Breakdown” section at the very top of LunarPages order page as per the screenshot below.